PS. Just placed an order for more BooHoo goodies. Shop some of my BooHoo favs below. 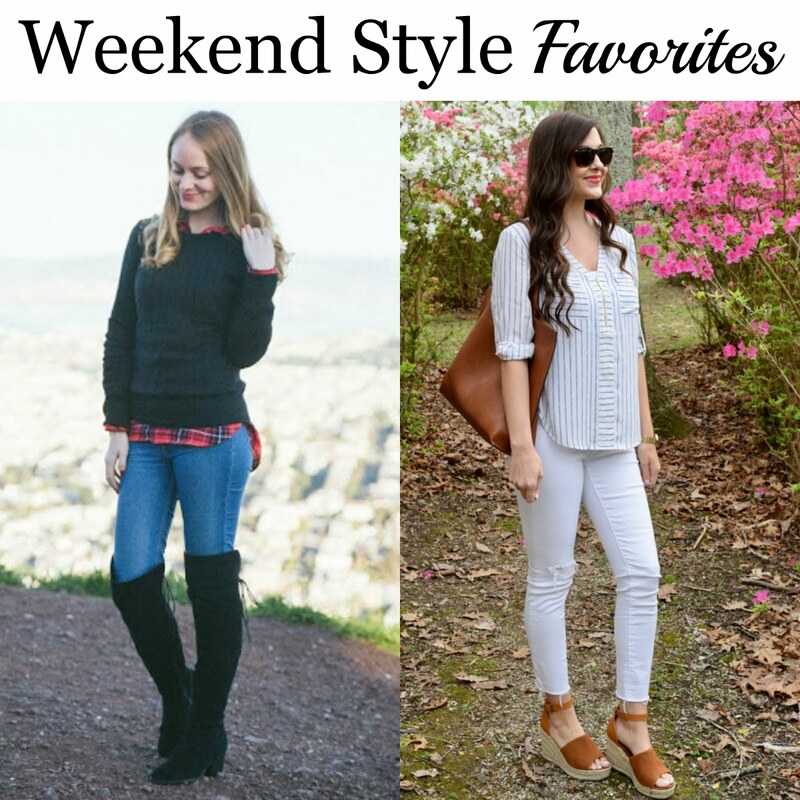 Last week, we loved Sarah from Trendy & Tidy & Chelsea from Chow Down USA's weekend looks. This dress is fabulous, Michelle! You look vacation ready! Love the dress. What a beautiful embroidered dress! I love it! How cute are you! That is one darling dress all right! Love the colors on this embroidery detail, so pretty! I just love that dress! And how perfect is your bag with it?! I almost went with a pink RM but didn't want to be too matchy! This was perfect. That is a gorgeous dress Michelle! Crushing on this dress big time! I love that embroidery details! Oh wow loving that dress, I just may have to get it! Thanks so much for featuring me this week, I'm so honored! Will be tweeting this post out shortly! Happy Monday! Thanks so much for sharing! We loved your look from last week! Happy May! Love your cute dress! How cute is this dress and you look beautiful in same. I adore this embroidered dress and the bag complements it perfect! Those sleeves are a pretty detail as well. This is the cutest dress! Perfect for Cinco de Mayo! I love the turquoise bag, too! I can't wait to wear this dress on Friday with a margarita in hand! LOVE this embrodiered dress Michelle & your purse matches perfectly!! This dress is so pretty, I love how the colors look against the black dress! That dress is gorgeous. In my SheIn cart right now I have so many embroidered pieces sitting. I also love the style of your dress. I just ordered one in that style with pink and navy stripes. Cannot wait to see the dress you send/style for my birthday too. Happy May my fashionable friend! <3 Ada. Hope you like my embroidered pineapple sweater that I linked up. =) I love it! That dress is beautiful! I love the embroidery! 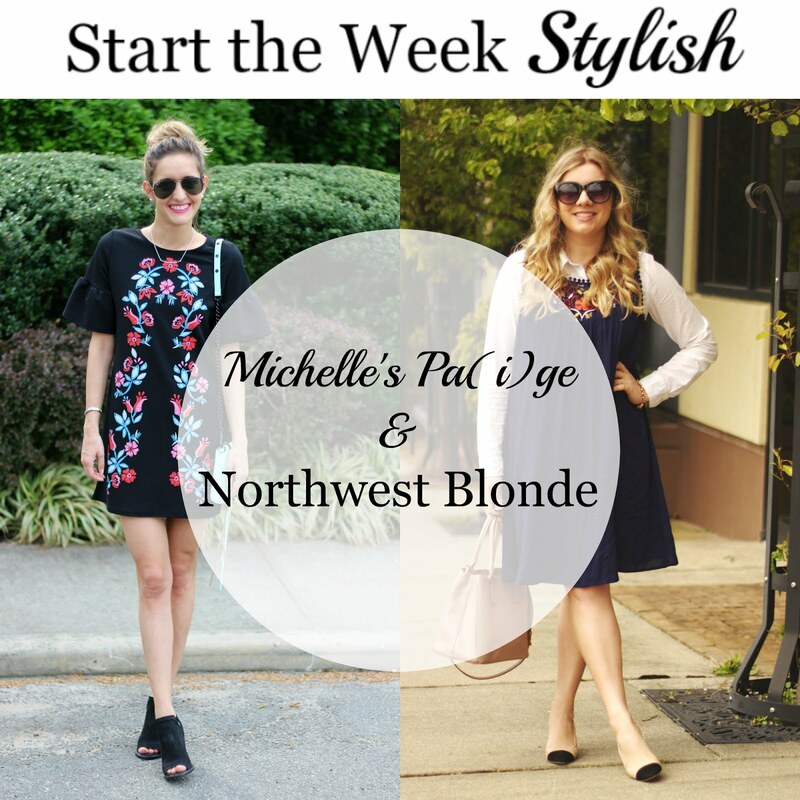 Thank you so much for the feature, Michelle! Made my day :). I am loving your dress and obsessed with your lip color! SO pretty! So happy to hear that! Loved your look from last week! The print on this dress is so colorful - it really stands out against the black! This is gorgeous girl. I love the ruffled sleeves. I'm all about the embroidery (you already know that) and just love this dress! Wow what a gorgeous dress! Love how you accessorised too. This is one of the prettiest embroidered dress I've seen. The ruffled sleeve makes it even cuter! I loved it the second I saw it! This is the cutest dress! I'm loving the embroidery and fun sleeves! I'm in love with anything embroidered right now! What a gorgeous dress, love how vibrant the embroidery is against the black! Me too - its such a fun trend this season! Totally digging dresses like these- they make spring outfitting so easy! I agree! one & done kinda outfit! Such a lovely dress, Michelle and look gorgeous on you. I like how your bag picks the colours off the dress. This embroideries on this dress are absolutely gorgeous! So cute the flowers in your LBD, honey! Nice Blog. Its looking gorgeous. Such a fabulous and Perfect Outfit. Its looking very cute in embroidered mini dress. I like this Blog very much. Please try to Post Beautiful Sarees and Kurtas.